CBD Oil Review rates the BioCBD Plus line with four stars because it qualifies for the Quality, Charity, Mission & Innovation Badges. Claiming to be the original appropriators of water-soluble cannabinoids, Bio CBD boasts products with incredibly high bioavailability. Additionally, we have yet to see any CBD businesses come close to the magnitude of charitable operations being enacted by Bio CBD. Every time someone purchases a product, they give one away to someone in need. They also offer a scholarship program and make it clear that they are ‘for-benefit’ and not ‘for-profit.' It renews one’s hope in life and humanity to see a business make such a priority out of helping others. Bio CBD (a.k.a. BioCBD Plus) is combining the magical healing powers of nature with nanotechnology to enhance the bioavailability of CBDs dramatically. They claim that they are the original providers of water-soluble CBD, an impressive fact if true. Bio CBD offers products for body care, muscles and joints, and also high-quality, terpene-rich CBD vape cartridges made by Vape Bright. Bio Hemp CBD comes within a hair’s breadth of earning a safety badge and falls just short by failing to test for heavy metals and residual solvents. Still, screening for pesticides and microbial contamination is a big step in the right direction. On the one hand, we love Bio CBD. They are quite possibly the most charity-focused CBD vendor in the industry. Every time someone buys a product, they give one away to someone in need. They have scholarship programs, and by nature in which they talk, it’s easy to see they deeply empathize with people who can’t afford the cannabinoid therapy that they need. They claim to be one of the only ‘for-benefit’ companies (as opposed to for profit). Despite this endearing compassion for those who are less fortunate, we remain perplexed at some of what Bio CBD describes as ‘ayurvedic herbs.’ Some of the formulas are remarkable, containing white willow bark, ginger, etc., yet another one contains only magnesium and curcumin! It’s hardly Ayurvedic, but perhaps we’re splitting hairs. All in all, Bio CBD is an excellent choice for CBD, as you not only get the relief offered by high-quality CBD but a fuzzy feeling inside knowing that you've helped another human being less fortunate than yourself. BioCBD Plus sources organically grown hemp harvested from sustainable farms in Northern Europe and uses recycled materials in their packaging. BioCBD Plus aims to improve quality of life by providing premium products, promoting sustainability and education, and helping others. Bio CBD offers a scholarship program, donates product to someone in need for every product sold, and provides a whopping 25% discount for veterans. 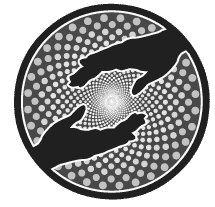 While Bio CBD’s products aren’t necessarily innovative compared to the industry at-large, their breadth of charitable giving is. Im a little unsure. 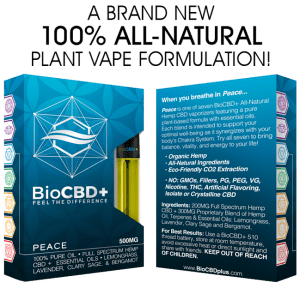 Ive used BIO CBD oil vape in the past and have nothing but good things to say about it. The only issue is I have been diagnosed with " a touch of emphysema". Dr doesn't know why. My diagnosis is that I have 2 holes in my left lung called bulla which they classify as Bullous disease. I feel great after using the vape but of course due to my condition my Dr told me to avoid all vaping. Was wondering if anyone out there has a similar situation. I purchased the topical cbd oil from BioCBD+ for my mom for Christmas. She has fibromyalgia and I wanted to introduce her to cbd products because I was confident it would help with her pain. She used the whole bottle and loved it so much, she's already purchased 2 more. She said she felt immediate relief when using this product on her sore muscles and joint pain. My husband takes these and they help keep him from being nauseated after Radiation Treatments. They also help control some of his pain. Amazing product! We used it on my fiancee's knee and it took the pain completely away. Why would anyone use advil when BioCBD is available? This product is absolutely wonderful. Organic herbs and hemp derived CBD, this product creates relaxation, healing and a long term sense of well being. It has helped me immensely. Excellent product and excellent company! Thank you! Immediately noticed difference with inflammation and gastrointestinal issues ! I've used the BioCBD Plus muscle and joint product and have found it outstanding for my chronic pain. It's a brand I trust because they are transparent and publish their tests and I like the fact that I can take it as a capsule. No issues around taste. I was pleasantly surprised at how well BioCBD+ worked for me with respect to pain. I have and will continue to recommend it to my friends and family. 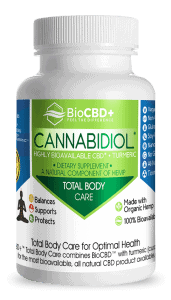 I have been using the BIO CBD product for a few months now. I have nothing but great things to say about this product. For me it has helped with inflamation and stress reduction. I will not go wrong!